What Makes A Security System A System? In an unpredictable world, one thing is certain, we all want to protect what’s ours. Whether you’re a business owner or a homeowner, you want to keep safe that which you’ve worked so hard for. One of the most effective ways to do that is to install a security system. Well, what exactly is a security system and what makes it a system? Security can be defined as, “the state of being protected or safe from harm,” and system can be defined as, “a group of related parts that move or work together.” A security system is an assemblage of equipment that helps prevent imminent danger or damage. As a licensed security systems provider, our team at Perfect Connections, Inc. has been helping protect homes and businesses throughout northern and central New Jersey since 1992. We believe that a security system should not only be a group of working parts, but that it should be comprehensive. Comprehensive can be defined as, “complete; including all or nearly all elements or aspects of something.” After decades of installing security equipment we’ve found that a truly comprehensive security system should include some form of access control, fire and burglar alarms, surveillance, and a monitoring service. A security system is so much more than the equipment that comprises it. It helps provide protection and life safety in a volatile world. Remember, a system is only as effective as the parts that comprise it. For a security system to be comprehensive it should include fire and burglar alarms, access control, surveillance, and a monitoring service, at least. As a security systems expert, Perfect Connections, Inc. has been providing comprehensive security solutions to homes and businesses in northern and central New Jersey for the past 23 years. We understand the importance of mitigating the unpredictable and what it takes to do so. What Does Wide Dynamic Range Mean in Surveillance? What Is Web-Based Access Control? The technological climate is swiftly changing the way we connect and interact with the physical world. Endless runs of cable and spaghetti wiring is becoming an antiquated notion with the development of wireless internet based equipment. This is evident in the way some security system integrators are approaching system design and installation. As industry professionals, our team at Perfect Connections, Inc. has been providing comprehensive security system solutions to organizations throughout northern and central New Jersey for the past 23 years. It is our goal to not only provide innovative security equipment, but implement components that are effective and make sense within a specific organization. Access control has always been a top security concern for any establishment. Whether it means using a lock and key, card reader, or fingerprint, it’s a means by which your business is shielded from unauthorized personnel. As an integral part of a comprehensive security system, access control mechanisms need to function on the same level as their system counterparts. Meaning software and technology updates/applications should apply across the board without disrupting the system as a whole. IP (Internet Protocol)/web-based technologies are making the advancement of security system components more attainable and desirable to both end-users and system integrators. This is evident in the continuing migration from analog based surveillance to IP. Web-based technology is not exclusively transforming surveillance, but security systems as a whole, including access control mechanisms. What does web-based/IP access control really mean? Your typical access control system is made-up of software, card/badge readers, controllers, and credentials. In many existing systems today, the software has to be updated manually or on site, the readers and controllers have to be supplied with wired power, and credentials typically constitute a fob or swipe card. With web-based or IP access control everything from installation to software updates changes. Much like many IP surveillance cameras, web-based access control systems are connected to a company’s internet network. Access control that operates over a network opens the door (pun intended) to increased scalability, installation flexibility, remote system access and management, reduction in the need for traditional power outlets, and cost efficiency. This creates a more open platform for system management and integration. In the not so distant past access control systems would be designed with products from a single manufacturer. While this may seem like a good idea, think about what happens if products are discontinued or the manufacturer goes out of business and no longer supports your system. You’re left with having to start from scratch which is not only a hassle but costly as well. With web-based access control, components don’t necessarily have to be supplied by one manufacturer. Being able to source readers, controllers, and credentials from different manufacturers benefits the end user and security integrator by limiting the cost of repair or replacement, as well as creating a smoother transition between software updates and system upgrades. The technology and software behind these products are becoming more universal which leads to better overall system operation and integration. The flexibility of web-based access control systems far surpasses physical access controls used in the past. You have the option to secure multiple entry points at a singular site or across numerous sites nationwide, even worldwide. Unlike traditional systems, multiple sites can be controlled, updated, and managed from a singular location either on site or remotely over a secured network. In this sense web-based security features help with system management consolidation; streamlining operation processes making the day-to-day more convenient. One of the most desirable features of web-based access control systems is the reduction of required cabling. Depending on the application, readers don’t necessarily have to be wired directly to the network. This cuts down on cabling and labor costs. It also provides flexibility in situations where cabling may not be an option, such as installations in historical buildings. Same is true about the energy supply to readers and locks. In the past it may have been difficult for integrators to place access control equipment because of a lack in electrical outlets or supply. Now, with web-based access control equipment, often times power can be supplied through a direct network connection known as PoE (Power over Ethernet). PoE connections provide power and data to a connected device through a singular cable. According to Bill Moran, vice president of Sales for Red Cloud Security, “Web-based access control offers features and functionality that enhance an organization’s security posture. From one consolidated screen, administrators can view and manage alarms, video surveillance, facility maps, and identities including photo and personnel details.” He also points out that in the event of a triggered alarm or someone forcing their way through an entry point, the network can be suspended while cameras at the scene can be accessed for live streaming. This is where the idea of a comprehensive security system comes into play, where all of the components are easily accessed and essentially working together. Web-based security features are transforming the way end-users and industry professionals perceive security in general. In a world that continues to become more and more connected through technological advancement and the IoT (Internet of Things), it only makes sense that the infrastructure of the physical world should follow suit. Web-based access control is just another step in the direction to a more convenient and secured future. At Perfect Connections, Inc. our licensed professionals are always looking for and researching technologies that better serve our customers. Our team has been providing comprehensive security system solutions to organizations throughout northern and central New Jersey since 1992. We help you connect and protect what matters most. How Does Home Automation Affect Home Security? As a licensed security system provider, our professionals at Perfect Connections, Inc. are always looking for the best ways to protect your home. We have been providing comprehensive security system solutions to residences throughout northern and central New Jersey for the past 23 years. Technological advancement means we are constantly learning and adapting our solutions to best suit client needs. That’s not to say just because something is new that it should be implemented, we do our due diligence before installation of any product including home automation devices. Home automation products aren’t exclusively linked to home security. In fact there is a plethora of automation devices that can be installed separate from a security system, often requiring a DIY (do it yourself) approach. For example there are devices that can be attached to kitchen appliances that can be controlled by logging into apps on your smartphone. However, rather than complicating our daily lives by having to download separate apps for everything in our homes, we have steadily been adopting technology in an effort to streamline and simplify. When it comes to home security, with DIY solutions you’re likely not getting full coverage while simultaneously complicating processes. Plus they often lack continuity and one of the most important aspects of a security system, monitoring. Rather than separating the functions of a home security system and home automation, integrators and homeowners are combining the two creating more efficient and effective life safety and lifestyle systems. Should Surveillance Systems Share A Network With Office Computers? Should your surveillance system operate on the same internet network as your office computers? The answer is not a simple yes or no. The short answer being it certainly is a viable option, but it could depend on the size and type of business you run. It’s also possible to set up an IP surveillance system on its own network but it may not be cost effective or necessary. For these reasons it is imperative to consult a licensed security system professional when altering or adding a surveillance system. When it comes to a company’s network there seems to be some trepidation about how and what devices can and should be allowed on it. It’s understandable, a company’s network is often a basis for its everyday functions, but where does the worry come from? A lot of it usually has to do with a communication gap between security integrators and IT professionals or end users. At Perfect Connections, Inc. our licensed experts are able to provide clear and understandable information about the surveillance equipment we implement and how it will affect your company’s network. We have been providing comprehensive security system solutions to businesses throughout northern and central New Jersey since 1992. Our team has witnessed and been a part of the migration from mainly analog surveillance to IP. Let’s discover the common concerns about network devices and how they can be dissolved, but first we’ll review some quick terminology when talking about networks. LAN, MAN, and WAN are three basic types of networks you’ll likely hear about from integrators and IT professionals. Local area networks (LANs) are typically found at most small to medium sized businesses as they cover a smaller more specific area. In all likelihood your company operates on a LAN network. Metropolitan area networks (MANs) cover a larger area and are usually present in cities and across large campuses. Wide Area Networks (WANs) provide the most coverage, anything from expansive distances to the whole world. According to Fredrik Nilsson, general manager for Axis Communications in North America, WANs are often comprised of multiple smaller networks including LANs and MANs. 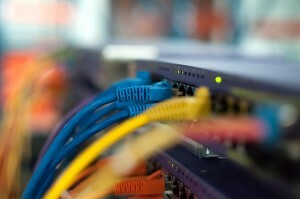 All networks are comprised of some sort of cabling and equipment such as switches, servers, and hubs. The most popular type of network configuration used with LANs is called star. A star configuration allows all network devices to be connected to a central point where if one device crashes the rest will remain in operation. However, redundancies are typically incorporated to account for the possibility of a central station crash. Then there’s the ever-present question, “what about hacking?” In our world where virtually everything is connected through the IoT (Internet of Things), it’s hard not to worry about who can access private information and how that information is being protected. Having surveillance equipment on the same network as your company computers may seem scary, but in reality, more oft than not, there are procedures in place to prevent hacker access. When it comes to adding network devices and keeping the network safe authentication protocol and data encryption are key. According to Marcella authentication protocol protects the network at the physical port level. If someone were to unplug a network camera and try to plug in their own device, all “traffic” to that port’s switch would automatically be shut down as the foreign device wouldn’t have the proper authorization. Data encryption is essentially creating a password to your network whether it’s wired or wireless. This prevents someone from getting into your network or freeloading on your company’s internet. Encryptions can be highly effective as long as they are not something obvious or easily guessed. Lastly, network storage is a top concern. This is often directly linked to bandwidth consumption concerns. Due to high image quality of IP camera recordings it’s not uncommon for businesses to store video footage for longer periods of time. Fortunately, with IP surveillance systems you don’t necessarily have to store recordings directly on the network. For smaller installations there is the option to utilize in-camera storage through internal SD cards (Secure Digital Cards). Network Attached Storage (NAS) devices and cloud-based systems are other viable options. In order to determine which method is best for your company an evaluation of camera quantity and storage needs should be conducted. Whether you are adding a new surveillance system or updating an existing one it’s imperative to consider the impact it will have on your company’s network, if any at all. Always consult a licensed security system professional as they can help guide you or your IT department through the process from initial assessment to final installation. Our team at Perfect Connections, Inc. has been providing comprehensive security solutions to businesses throughout northern and central New Jersey for the past 23 years. We can help break down the communication barrier that sometimes creates apprehension when installing network devices. While you no doubt have some sort of fire detection and/or suppression system in operation it’s important to maintain it in accordance with national and local requirements. As a security systems integrator, our team at Perfect Connections, Inc. has been installing fire alarm systems in business facilities throughout northern and central New Jersey for that past 23 years. We specialize in comprehensive security systems that include fire alarms as a major component to a fully functioning system. We do offer maintenance and service contracts helping you preserve a system that will continue to pass annual inspections and work efficiently in the event of a fire. 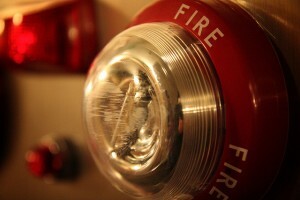 In most cases fire alarm systems must be inspected at least once a year some may require a more frequent assessment. It really all depends on the type of business. During an inspection all components of the system will be tested so if something is not functioning properly, it will likely be taken care of at that time. Before an inspection you should notify the building occupants as the alarms will be tested and it gets noisy. Your alarm system company is the one who should contact the alarm monitoring station and local authorities in advance to avoid false emergencies. When you picture a surveillance monitoring station what do you see? Is it a half awake guard staring blankly at multiple monitors? If that’s the case you can scratch that image from your mind. The future of monitoring services is quickly shifting and adapting to our society’s need for streamlined and efficient processes. As surveillance systems migrate from analog to IP with megapixel network cameras, and our world becomes more and more connected through the IoT (Internet of Things), the desire to access and monitor footage from anywhere increases. This is where the idea of remote monitoring comes into play. Being able to remotely monitor surveillance footage from virtually anywhere is a convenience that, up until recently, hasn’t been a pervasive security feature. It differs from alarm monitoring in the sense that a service representative isn’t necessarily waiting around for an alarm to go off, instead they are actively watching live recordings to catch potential disasters before they happen. In the past a company would typically hire people to monitor cameras on site, which isn’t always the most economical or effective method. Today, companies are using off-site monitoring services that have the ability to keep watch over multiple facilities 24/7. In conjunction with that, business owners have the ability to download apps that allow them to access their surveillance footage at their convenience via a mobile device. At Perfect Connections, Inc. our experts typically recommend a monitoring service as part of a comprehensive security system to help ensure its effectiveness. Our team of licensed technicians have been providing security solutions to businesses throughout northern and central New Jersey for that past 23 years. The technological climate is ever changing and we always do our best to stay on top of relevant trends that will benefit our customers. Remote monitoring allows an individual or group of users to access surveillance footage through a secured network from virtually anywhere via a smartphone, tablet, computer, or mobile device. Why is this beneficial? It can help cut down, or eliminate entirely, the need to have an on-site staff staring at monitors, how effective can that be anyway? According to Doug Marman, CTO of VideoIQ Inc. and founder of Remote Guarding Alliance, “…humans monitoring video screens grow fatigued to the point of ineffectiveness after only 20 minutes…” Marman argues that the traditional method of monitoring surveillance is at best a practice in “hindsight” strategy. Meaning by the time a reaction is made the damage is done or the perpetrator has already escaped. Marman’s system of remote monitoring using a combination of video analytics and audio over IP, or voice over IP (VOIP), decreases response time and increases the ability to monitor a large quantity of cameras at once. And in contrast to human attention span, video analytics are “100 percent vigilant.” Marman illustrates the ability to interact with intruders instantly via audio over IP, citing how quick they are to abandon their criminal attempt when someone is calling them out over a speaker on site. While audio interaction is an intriguing feature that allows for a virtual presence at all times, it may not be necessary depending on your type of business and your security needs. What matters most is the ability to react instantly, reduce any lag time in response, and prevent false alarms as they typically result in fines and wasted essential resources. With response time being one of the top benefits of remote monitoring it can also reduce overall monitoring costs, increase scalability options, and send notifications via e-mail or other media. While the benefits of a remote monitoring system may eliminate the need to hire on-site staff, it doesn’t necessarily mean you should rely solely on self-monitoring. If you were to take on the task of monitoring everything yourself, your business could be at risk. Imagine you’re monitoring from a smartphone, it runs out of battery and you don’t have your charger handy. What if you misplace your smartphone and miss an important notification? Think about logistics too, as a business owner even you need to get sleep, you can’t be vigilant 24/7. Having the ability to self-monitor should be looked at as an added layer of security, not your only means of protection. 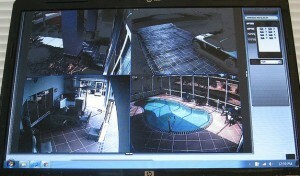 According to Jerry Cordasco, vice president of operations for G4S Video Monitoring Support and Data Center, “A better choice for remote video surveillance is the use of a professional monitoring facility.” Having a remote monitoring service provides a virtual presence 24/7 that can access real time footage and initiate the appropriate response immediately. Security systems can be an effective crime fighters, but what good are they if an alarms goes off and no one is notified or made aware? What good is a surveillance system that no one is monitoring? You might get lucky and capture a license plate number that could eventually lead you to the perpetrator after the fact, but by that point the damage has been done. The goal of a remote monitoring service is to provide timely and accurate responses to disturbances on site. As a security systems provider, our team at Perfect Connections, Inc. understands the importance of immediate action. Mere seconds can be the difference between prevention and disaster. We have been providing comprehensive security system solutions, which include monitoring services, to facilities throughout northern and central New Jersey since 1992. Every business has different security risks that is why we tailor our solutions to fit your specific needs. There are many architectural components to a business facility sometimes that includes a parking lot or garage. Whether it is attached or detached, near or far from the main building it can be a convenient asset to any business. It’s likely the place where you and your employees park in the morning and leave in the evening. At some point in your life, whether you were at work or another establishment, you’ve probably had an uneasy feeling walking to your car. But why? Perhaps it had something to do with a perceived lack of security. A parking lot or garage can often go overlooked when it comes to the security of an organization as it is not necessarily looked at as an actual part of the main building. Often times organizations focus on protecting the areas people spend most of their time in, their office or interior work destination. Sometimes a parking lot or garage isn’t even owned by the business it serves but rather an outside property manager. 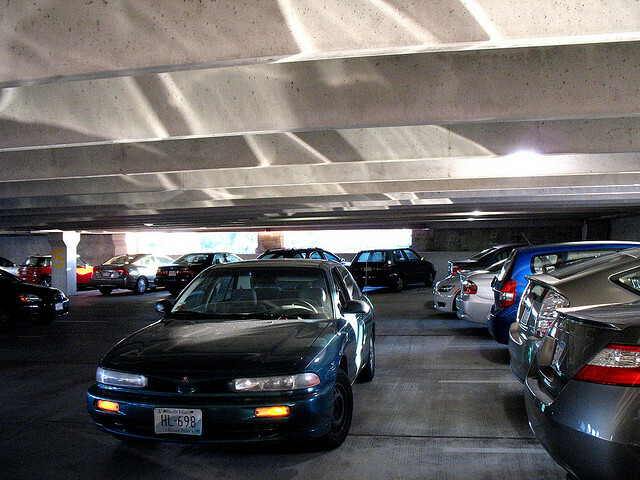 However, parking destinations can often be high risk areas especially at night. As a licensed security systems company our experts at Perfect Connections, Inc. assess the security risks of an organization as a whole. We have been offering comprehensive security solutions to businesses throughout northern and central New Jersey for the past 23 years. 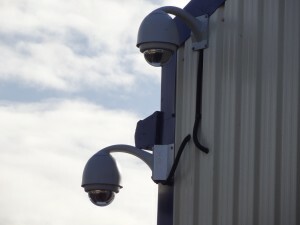 We understand not every business or location is the same, and with different locations comes different security risks. Our team helps minimize risk by offering tailored security system solutions. Not only is it imperative for patrons to be able to see, but if something were to happen it’s crucial that security cameras record useable footage. Lighting and surveillance tend to go hand-in-hand. This means installing light fixtures that will provide ample illumination and an adequate CRI (Color Rendition Index) rating. CRI ratings quantify the precision a light source has when it comes to reproducing color. One of the best and overall cost effective options is LED (Light Emitting Diode) lighting. While lighting is paramount, surveillance is key when it comes to catching criminal behavior, especially in parking lots and garages. In our current technological environment surveillance cameras and equipment are becoming more efficient and advanced. For instance, garage and parking lot environments are not exactly the cleanest or protected areas, therefore surveillance equipment has to be able to withstand harsher elements. Fortunately there are cameras built specifically for such vulnerable settings. Vandal-resistant cameras happen to be a surveillance solution in volatile areas, providing protection from both human and environmental elements. They typically come sealed from dust and moisture right out of the box making them durable and increasing their longevity. This helps cut down on long term costs of repairs or replacements. Aside from being durable, ease of integration is becoming a pervasive quality in cameras and security equipment. Today, end-users are starting to migrate from analog camera systems to IP (Internet Protocol) for their image quality, coverage, and scalability. This opens the door to whole system integration where a garage surveillance system can be on the same network as the business it services, or at least that’s the idea. With IP and cloud-based surveillance systems becoming more ubiquitous, clearer images and video analytics are sure to play an important role in the security of any infrastructure, including parking lots and garages. It would help cut down on the need for physical monitoring services as well provide a platform for remote access via a mobile device or computer. When enhancing the safety of your parking lot or garage it’s important to consider landscaping, signage, cashier booths and pay stations, and alert systems for the patrons. Landscaping around a garage or lot should be well kept and vegetation should be trimmed low to maintain a clear line of sight. There should be clear signage that improves way-finding and some that indicates the area is under surveillance. Sometimes seeing signage is enough to deter criminal activity. Cashier booths and pay stations are crime targets for obvious reasons, therefore they should be well-lit and have adequate surveillance coverage. Alert systems can be a helpful added security feature that would notify patrons by text message of any issues or disturbances while they are away. Whether you are the owner of a parking lot/garage or a patron it is critical to ensure its security. It’s not just about being vigilant of your property, it’s about protecting you, your employees, and your patrons. As every location has different risks you should always call on a licensed security systems professional to perform an in-person security assessment. Our team at Perfect Connections, Inc. has been providing comprehensive security solutions to businesses throughout northern and central New Jersey since 1992. Our team is skilled at providing custom solutions tailored specifically to your needs. We appreciate the complexities involved in protecting an organization as a whole. The days of struggling to carry 50 pounds of groceries while simultaneously trying to dig your house keys out of your pocket or purse, might be coming to an end. As a homeowner your door locks have always been an essential line of defense when it comes to protecting your home. While our everyday lives are saturated with technological advancement, it only makes sense that our physical structures should follow suit. That being said, using a key to unlock your doors may be a thing of the past with wireless access control on the rise. What is wireless access control? Essentially, wireless access control in a residential setting means replacing the standard lock and key with a keypad, remote control, biometric reader, card reader, or Wi-Fi access. Keys are no longer the only method for unlocking your doors, in fact, they become the back-up. At Perfect Connections, Inc. our team of licensed experts have been providing comprehensive security solutions to homes throughout northern and central New Jersey since 1992. 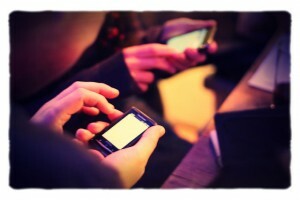 We stay in touch with current technologies and how they might benefit our customers. Protecting entrances is key (no pun intended) to the safety and security of any home, and we aim to provide the best solutions to each individual residence. How does a wireless lock work? Most traditional locks operate on some form of a “pin and tumbler” method. This is when the serrated edge of an inserted key moves pins on the interior of the lock a certain distance allowing you turn the lock cylinder and open the door. 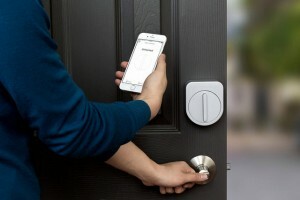 With a wireless lock (which typically operates on electricity or battery power) has “actuators,” which connect the cylinder or bolt to a motor within the door or frame. The motor is electrically activated by a keypad, card reader, or wireless remote controller. On top of that there are locks that work on Wi-Fi signals used in conjunction with your smartphone or mobile device, sometimes referred to as smart or automated locks. Lastly, biometrics are sometimes used to control home access. Typically a fingerprint or hand print is the credential required for such a system. There are many advantages to a wireless locking system. For one, you never have to worry about losing or forgetting your keys. This eliminates having to leave spare keys outside or giving them to people who need access to your home. Instead of using a key you can, depending on the type of wireless lock, give your visitor the access code or with an automated system you can unlock the door from your smartphone. With a wireless lock there are no wires. Typically this means an easier and seamless installation. It’s a technology that would allow for a more ubiquitous integration that includes old and new construction homes. Wireless locks offer a convenience and extra layer of security you can’t get from a standard door lock. While there are multiple benefits to a wireless locking system, none of them are perfect. With a regular lock you might lose your keys, with a wireless keypad lock you could forget your access code or the code could be hacked by a savvy burglar. Fortunately, if you forget your code many keypad locks come with a physical key as a backup. As for code hacking, it’s usually best practice to pick a random code, so don’t use a birthday or something easily guessed. It’s also prudent- and some systems may require it anyway-to change the code every few months or after you’ve let an outsider use it. The main drawback with a remote controlled lock is, just as with keys, you could lose the remote. Unlike keys, a remote is usually programed by a computer. Therefore, in the event that you lose the remote you can deactivate it from the convenience of a computer. With a smart or automated lock you run into the issue of not always having a reliable Wi-Fi signal. Then there’s the dreaded question of what happens when the power goes out? As some of the wireless locks run on electricity, a power outage could be an issue. However, many of these locks tend to have multiple redundancies in place including backup battery power. The main deterrent when it comes to biometric locks is the price as they tend to be a fairly complex system that isn’t as pervasive in the residential market as the other technologies. Whether you are building a new home or want to enhance the security of your current residence, wireless locks can reinforce your first line of defense and provide a convenience you can’t obtain with conventional locks. As with any security device or installation you should always consult a licensed security systems professional, especially if you’re looking for full system integration. At Perfect Connections, Inc. our team has been providing comprehensive security system solutions to homes throughout northern and central New Jersey for the past 23 years. We help you connect and protect what matters most, offering a peace of mind you can’t get from anything else.